A lucky turkey will depart San Francisco International Airport on Monday for Washington, D.C, where President Barack Obama will spare it from being eaten this Thanksgiving. The Central Valley bird was chosen from a flock of Nicholas white turkeys raised by poultry producer Foster Farms. 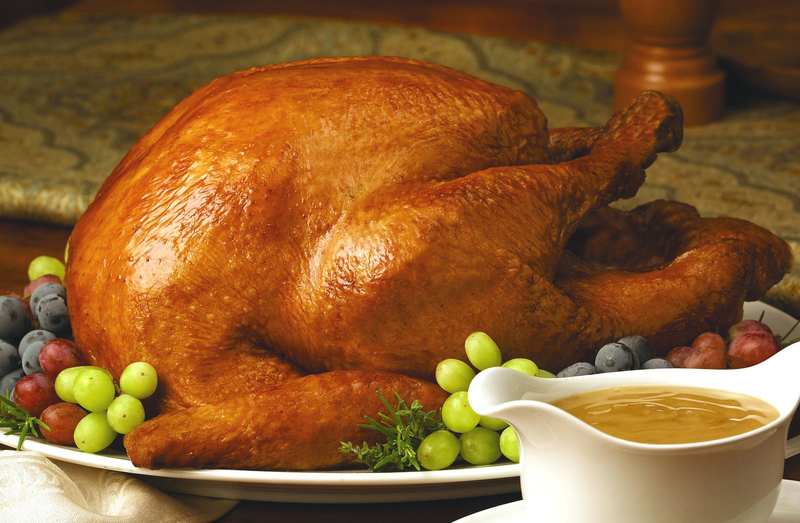 It beat out 20 finalists for the privilege of not being slaughtered for Thanksgiving, Foster Farms officials said. On Monday morning, the chosen turkey will arrive at SFO with its motorcade and board a United Airlines flight dubbed “Turkey One” along with an alternate turkey. They will be accompanied by a mock Secret Service detail, Foster Farms officials said. Presidential turkey pardons are a tradition that stretches back nearly 30 years. President Ronald Reagan issued the first turkey pardon in 1987 while fielding questions about whether he would pardon Oliver North for his role in the Iran-Contra scandal. Reagan’s successor, President George H.W. Bush, turned it into an annual event.